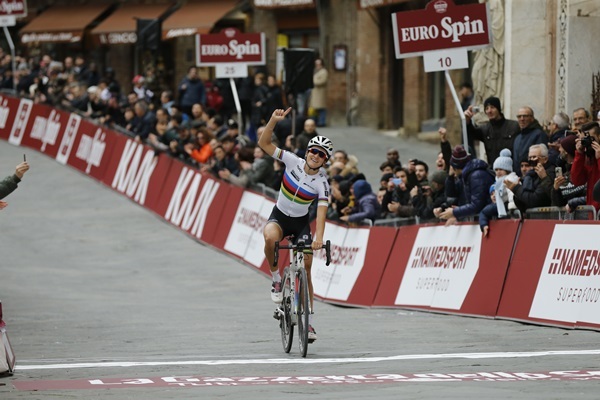 I’ve been covering Lizzie Armitstead’s racing triumphs semi-regularly over the last year, so it only seems fair that I also report on her legal triumphs. If you haven’t seen the news, Armitstead has not been banned. That might not seem like such a triumph, but there was actually a very real threat of it. The world champion was, in fact, suspended for a time after missing three out-of-competition anti-doping tests with a possible four-year ban looming large. Armitstead took this to the Court of Arbitration for Sport (CAS) and won, so she’ll be racing at the Olympics. So far, so cut and dried, but if there’s one thing I’ve learned about the eternal doping debate, it’s that it’s best to refine your opinion’s shade of grey rather than committing to black or white. Lawyers of course operate in a nitpicking world that fears nuance. The ‘Lizzie Armistead is completely innocent’ state of affairs comes about because it was successfully proven that when she missed the first of the three tests, it wasn’t really her fault. She still didn’t take a test. There are still three occasions when she was supposed to have taken a test and didn’t. It’s just that on the first of those three occasions, CAS concluded it was primarily the tester’s fault, not hers. Okay, the first non-test came on August 20 last year. The tester turned up at a hotel in Sweden and staff wouldn’t provide Armitstead’s room number. The tester tried to phone her, but it was 6am so her phone was off. That was pretty much it, so maybe fair enough. The other two occasions were her fault and she admits as much. Athletes have to say where they’re going to be at all times using an online system. On October 5 she made a balls up and then on June 9 of this year she had a last minute change of plans, citing an illness in the family. A lot of people are questioning why she didn’t challenge the first missed test decision at the time. Maybe she hoped it wouldn’t matter and that she wouldn’t miss two more. Who knows? Up to you really. While three missed out-of-competition tests amounts to a ban, what it does not amount to is a positive test, so innocent riders can in theory still end up serving doping bans. At the same time, ensuring you’re available for out-of-competition tests is a major part of a professional cyclist’s job. Personally, I am very unsympathetic to riders who miss a series of tests. One missed test can happen to anyone, but you then have to be ultra-careful precisely because continued carelessness invites suspicion. We would never conclude anything about a rider without evidence – and to be clear, there isn’t any – but our view of Armitstead is now a slightly darker shade of grey. That somewhat more sombre hue is, to a great extent, her own fault. No, that was a different test – one related to a race. The out of competition test was missed. 24 hours is a long time when it comes to substances in the body. She will of course have taken any number of tests over the course of the season – all athletes do and those who win races take even more – but the whole point of out-of-competition testing is that it could happen on any day.